The MCH1206 military grade high voltage chip resistor series from Ohmcraft® offers a voltage rating of 1.5kV, power rating of 0.33W and a resistance range from 10kΩ up to 50GΩ all in a 1206 chip size package. By utilising their patented Micropen® precision printing technology, they are able to provide a superior precision, thick-film surface-mount resistor. 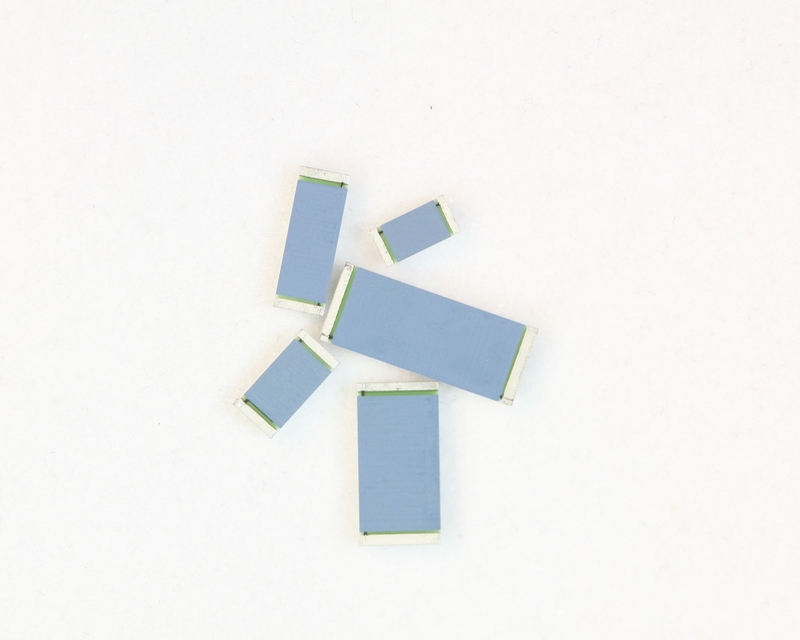 MCH1206 resistors offer very low noise, ultra-high stability with tolerances down to ±0.1% (between 10kΩ and 10MΩ), TCR as low as ±25 ppm/°C (between 1MΩ and 100MΩ) and VCR down to 1 ppm/V. Ohmcraft's military SMT chip resistors have an extended TCR temperature range (-55°C to +125°C) and are stringently inspected. 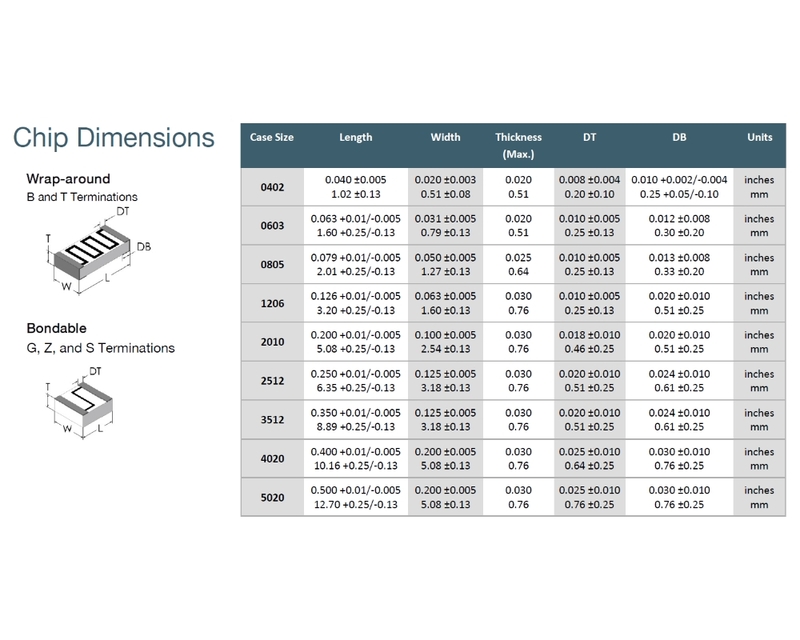 Please see the MCH series datasheet under the Technical Library tab for other available chip sizes and standard products. For custom configurations or requirements, please contact us. A video highlighting how Ohmcraft's premium resistors are made. Utilising their Micropen technology, they print their resistors using a serpentine pattern to create a reliable product that you can count on. How does Micropenning compare to screen printed resistors? Why do Ohmcraft customers use their premium resistors? As the leader in high voltage, high performance resistors and high ohmic value resistors, Ohmcraft has the technology and expertise to design and manufacture resistors to meet your designs for application specific resistors. This product is available fully compliant to the RoHS EU directive 2011/65/EU, however, Non-RoHS compliant options are available. The MCH0402 military grade high voltage chip resistor series from Ohmcraft® offers a voltage rating of 150V, power rating of 0.04W and a resistance range from 10kΩ up to 1GΩ all in a 0402 chip size package. By utilising their patented Micropen® precision printing technology, they are able to provide a superior precision, thick-film surface-mount resistor. MCH0402 resistors offer very low noise, ultra-high stability with tolerances down to ±1% (.. The MCH0603 military grade high voltage chip resistor series from Ohmcraft® offers a voltage rating of 400V, power rating of 0.06W and a resistance range from 10kΩ up to 50GΩ all in a 0603 chip size package. By utilising their patented Micropen® precision printing technology, they are able to provide a superior precision, thick-film surface-mount resistor. MCH0603 resistors offer very low noise, ultra-high stability with tolerances down to ±0.5.. The MCH0805 military grade high voltage chip resistor series from Ohmcraft® offers a voltage rating of 600V, power rating of 0.2W and a resistance range from 10kΩ up to 50GΩ all in a 0805 chip size package. By utilising their patented Micropen® precision printing technology, they are able to provide a superior precision, thick-film surface-mount resistor. MCH0805 resistors offer very low noise, ultra-high stability with tolerances down to ±0.5%.. The MCH2010 military grade high voltage chip resistor series from Ohmcraft® offers a voltage rating of 2kV, power rating of 1W and a resistance range from 10kΩ up to 50GΩ all in a 2010 chip size package. By utilising their patented Micropen® precision printing technology, they are able to provide a superior precision, thick-film surface-mount resistor. 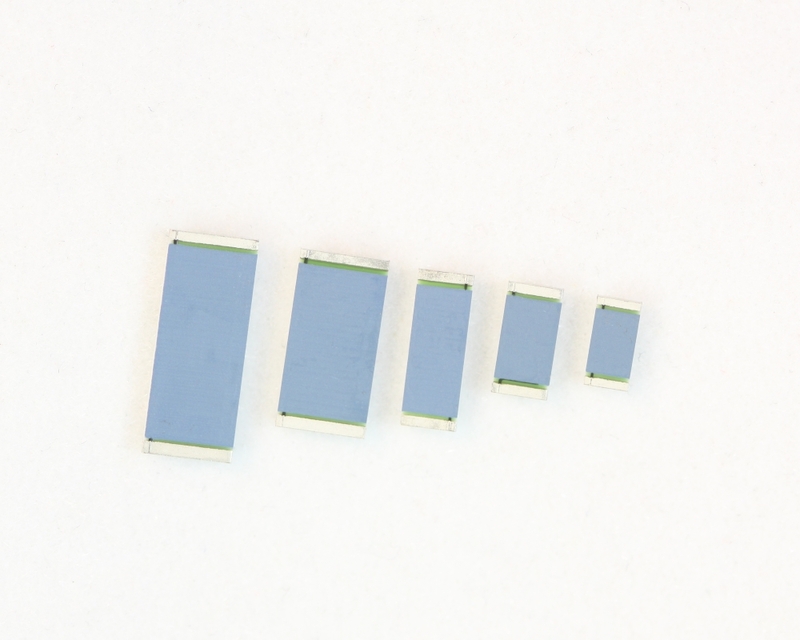 MCH2010 resistors offer very low noise, ultra-high stability with tolerances down to ±0.1% (b.. The MCH2512 military grade high voltage chip resistor series from Ohmcraft® offers a voltage rating of 3kV, power rating of 2W and a resistance range from 10kΩ up to 50GΩ all in a 2512 chip size package. By utilising their patented Micropen® precision printing technology, they are able to provide a superior precision, thick-film surface-mount resistor. MCH2512 resistors offer very low noise, ultra-high stability with tolerances down to ±0.1% (b.. The MCH3512 military grade high voltage chip resistor series from Ohmcraft® offers a voltage rating of 3.5kV, power rating of 2W and a resistance range from 10kΩ up to 50GΩ all in a 3512 chip size package. By utilising their patented Micropen® precision printing technology, they are able to provide a superior precision, thick-film surface-mount resistor. MCH3512 resistors offer very low noise, ultra-high stability with tolerances down to ±0.1% .. The MCH4020 military grade high voltage chip resistor series from Ohmcraft® offers a voltage rating of 4kV, power rating of 2W and a resistance range from 10kΩ up to 50GΩ all in a 4020 chip size package. By utilising their patented Micropen® precision printing technology, they are able to provide a superior precision, thick-film surface-mount resistor. 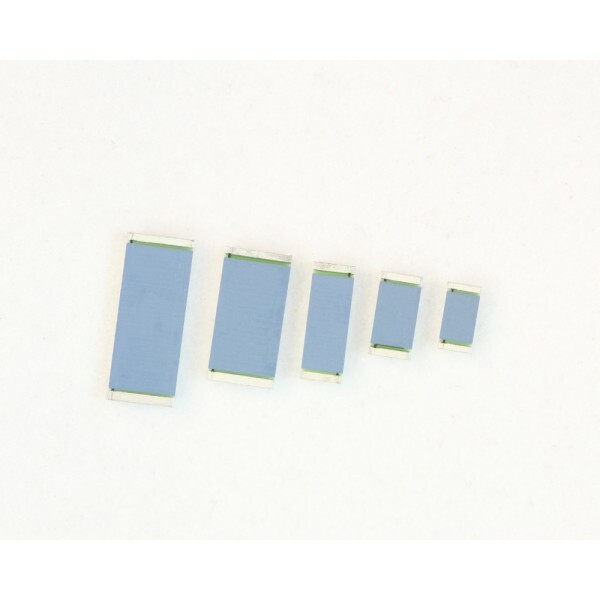 MCH4020 resistors offer very low noise, ultra-high stability with tolerances down to ±0.1% (b.. The MCH5020 military grade high voltage chip resistor series from Ohmcraft® offers a voltage rating of 5kV, power rating of 2W and a resistance range from 10kΩ up to 50GΩ all in a 5020 chip size package. By utilising their patented Micropen® precision printing technology, they are able to provide a superior precision, thick-film surface-mount resistor. MCH5020 resistors offer very low noise, ultra-high stability with tolerances down to ±0.1% (b..